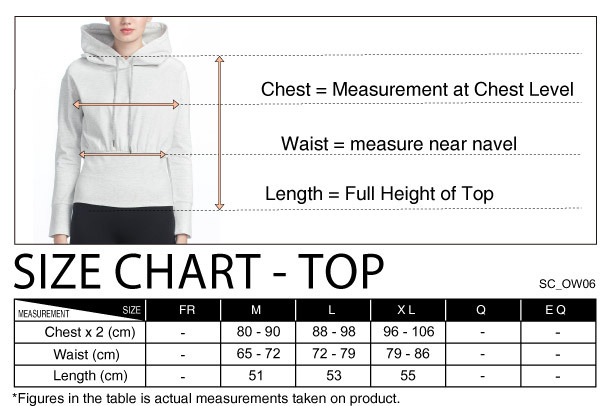 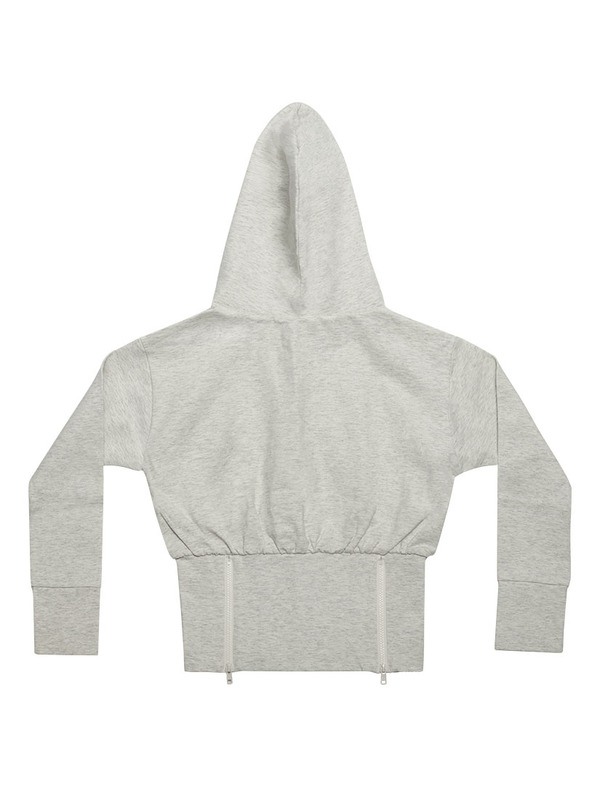 This short hoodie is made of an endurable solid Italian fabric and constructed with a slim-cut fit, ensuring an always like-new look, and will maintain its shape. 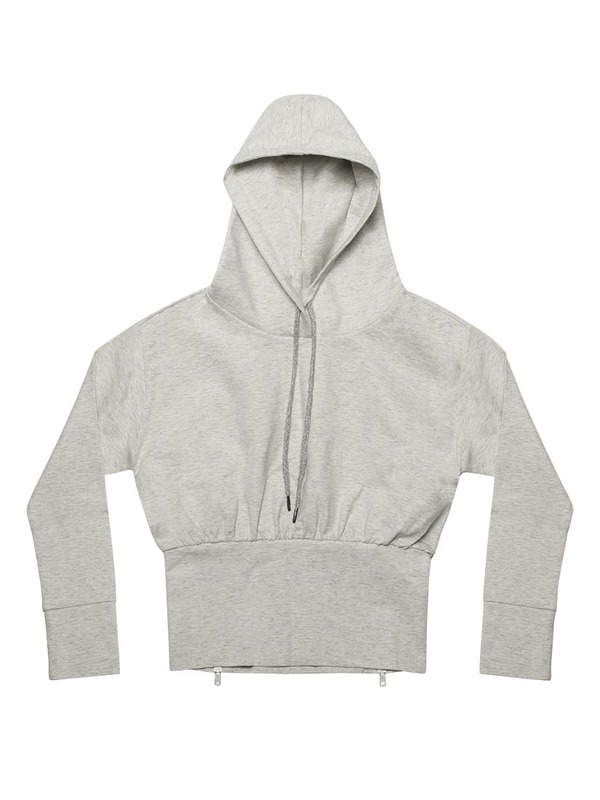 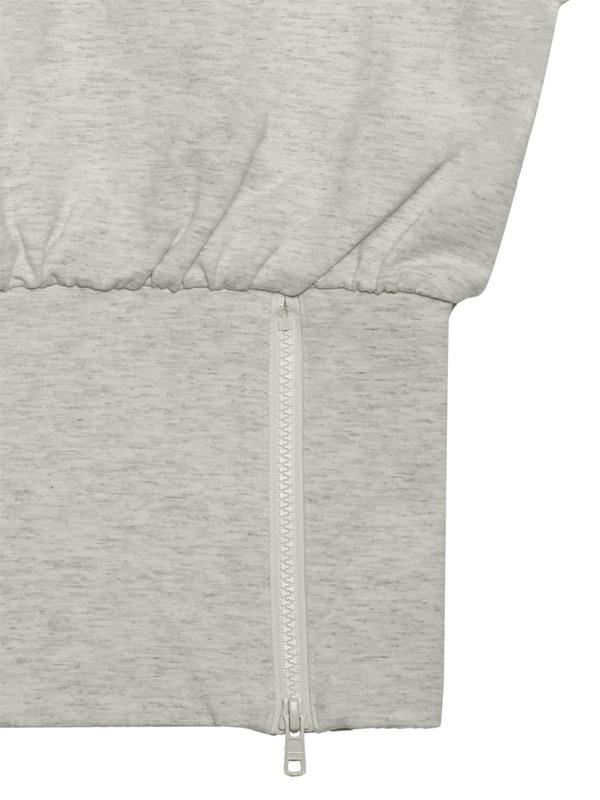 Featuring the two zippers on the back waistline to show a sleek and shape silhouette that adds a feminine touch to a classic hoodie. 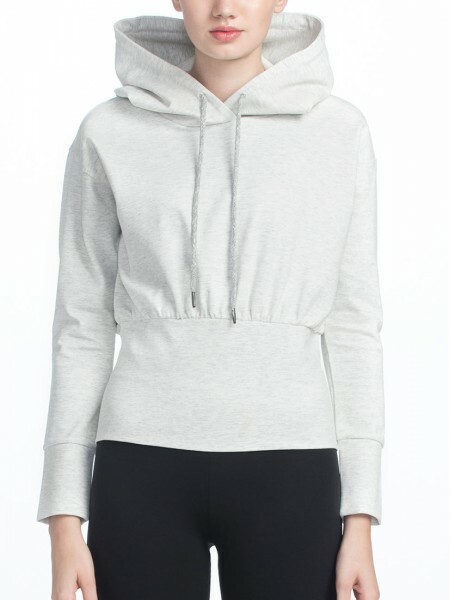 Suggest pairing with the High-Waisted Cutout legging OB-00949 for an almost unbearably chic.